nice purple glass jug by CHARLES SCHNEIDER, circa 1922-1926, produced at Epinay-sur-Seine. 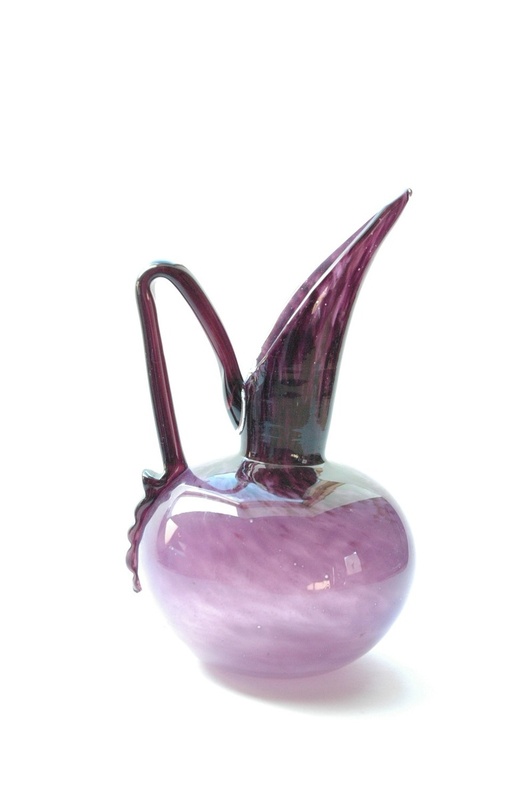 referenced in the book of schneider art glass. 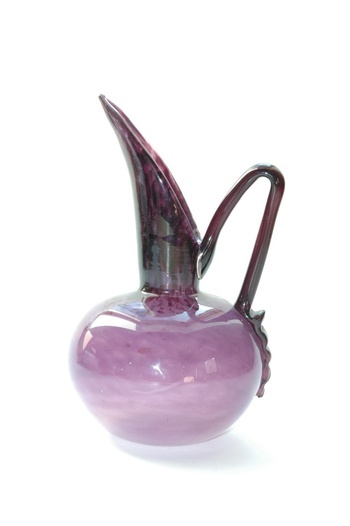 "small pitcher powedered glass changing to violet- purple toward the top, jagged applied handles." 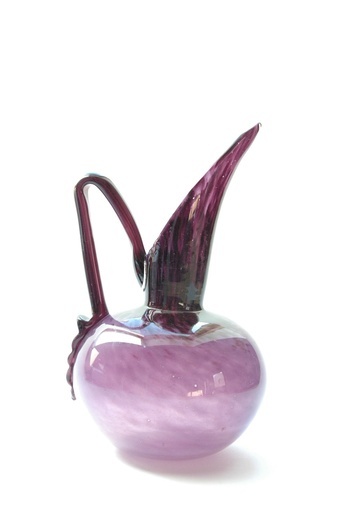 the shading on this piece outstanding and the design fab !!!!!!!! 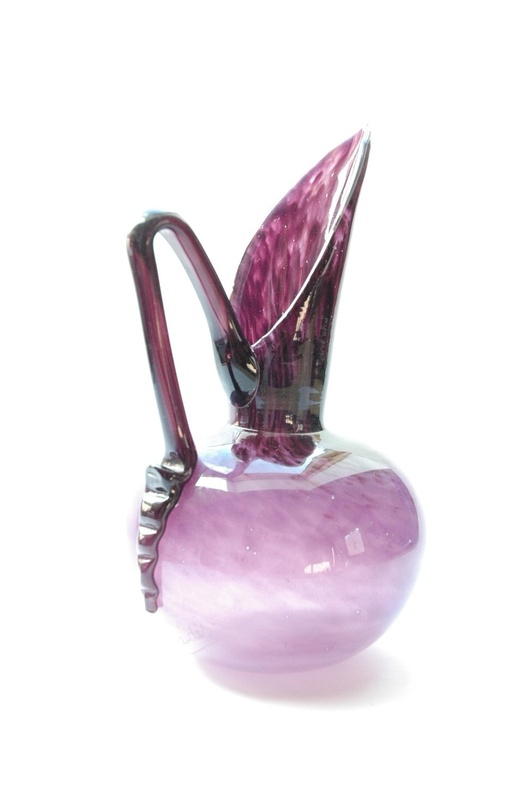 One of my favorite colors of glass!! Great piece. Beautiful Piece of Glass -- WOW !! Another very nice glass piece!! !